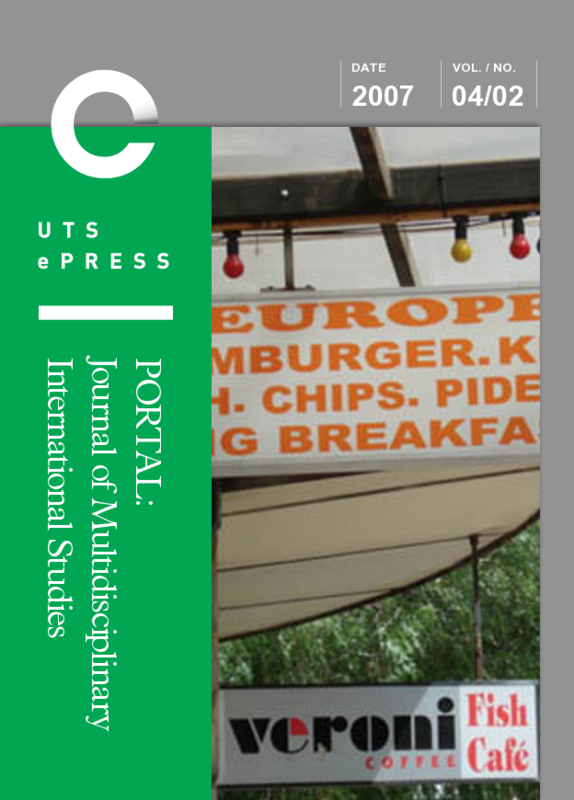 Special double issue, guest-edited by Alexandra Kurmann and Tess Do. 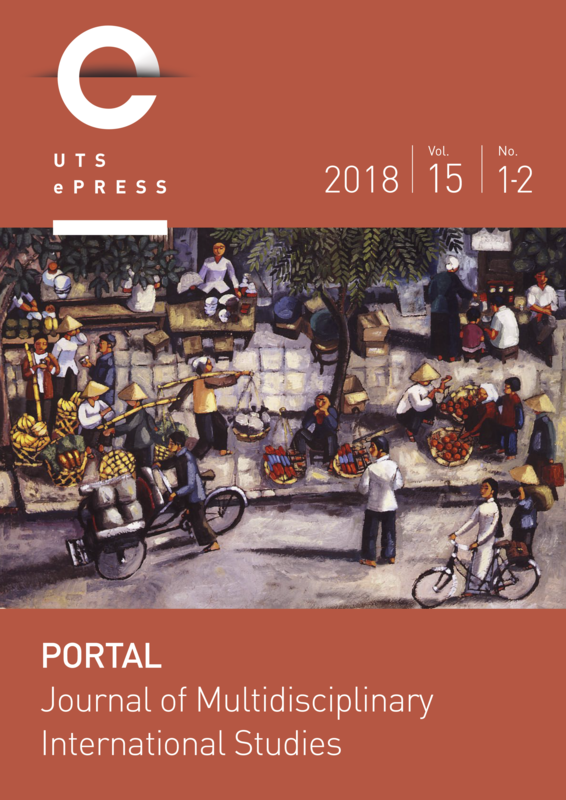 Cover image, Trottoirs de Hanoi, huile sur papier népalais, 2010 © Marcelino Truong. 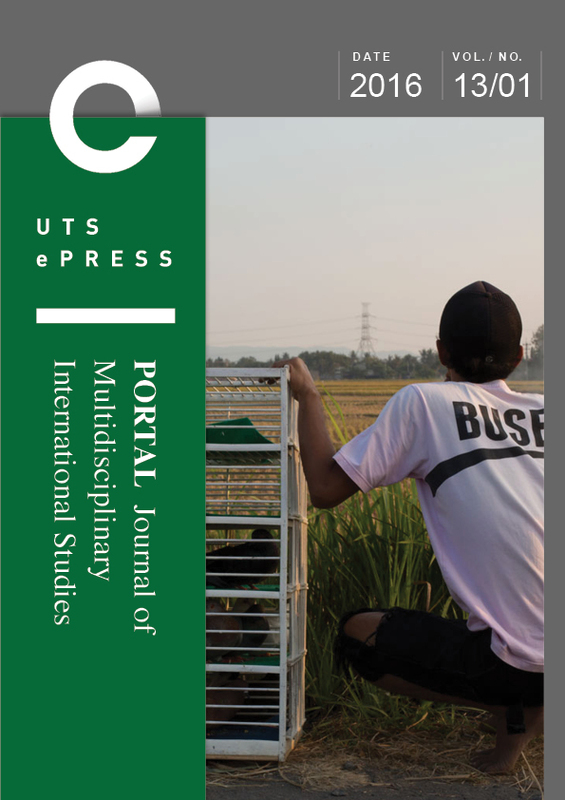 Special issue, guest-edited by Anu Bissoonauth and Rowena Ward. Cover image: Le gardien du feu [The keeper of fire], sculpture de François Uzan © ADCK-CCT, photog. A.-L. Aubail, 2017. 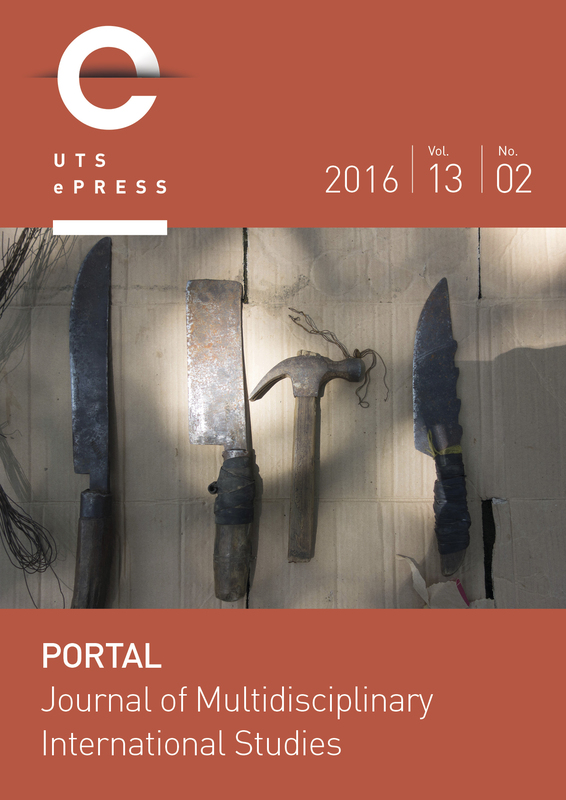 Special cultural works issue, curated by Paul Allatson. 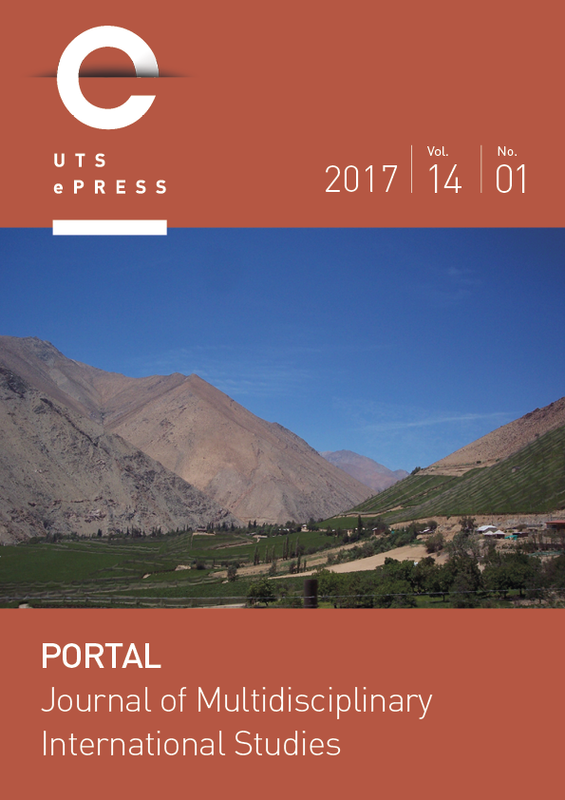 Cover image, along the Elqui Valley (Valle de Elqui), northern Chile © Ian Campbell, November 2008. Designing Futures in Indonesia, curated by Alexandra Crosby. 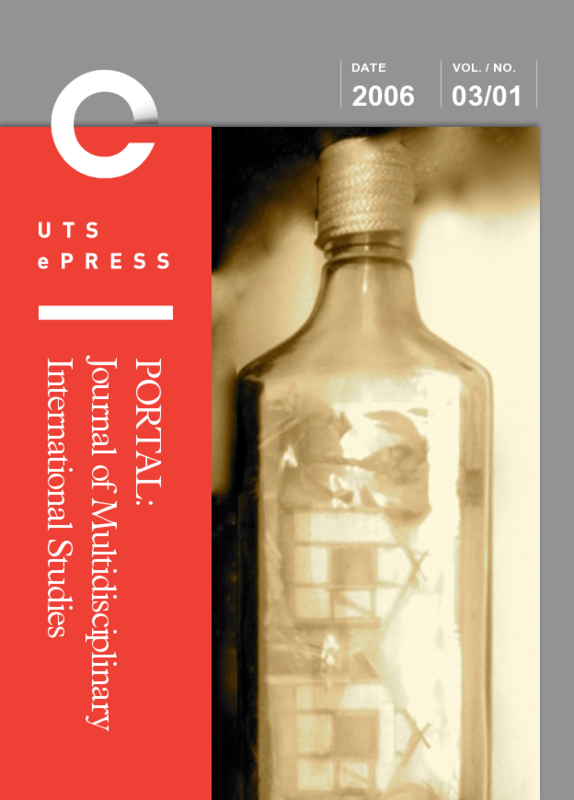 Cover image © Alexandra Crosby. The Transcultural Edge, curated by Ilaria Vanni Accarigi. Cover image © Leyla Stevens. 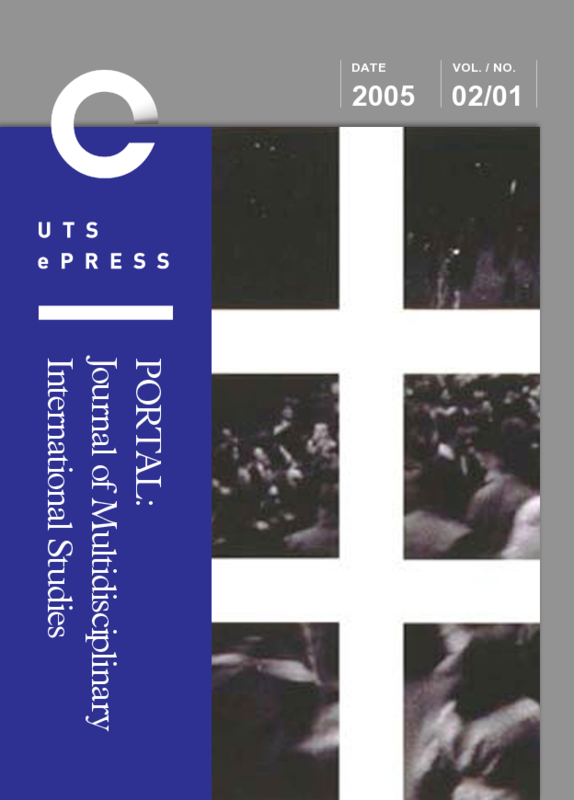 Special issue, guest edited by Moritz Ege and Andrew Wright Hurley. Cover image, 'Joachim-Ernst Berendt and Sun Ra in Germany,' photo by Paul Gerhard Deker. 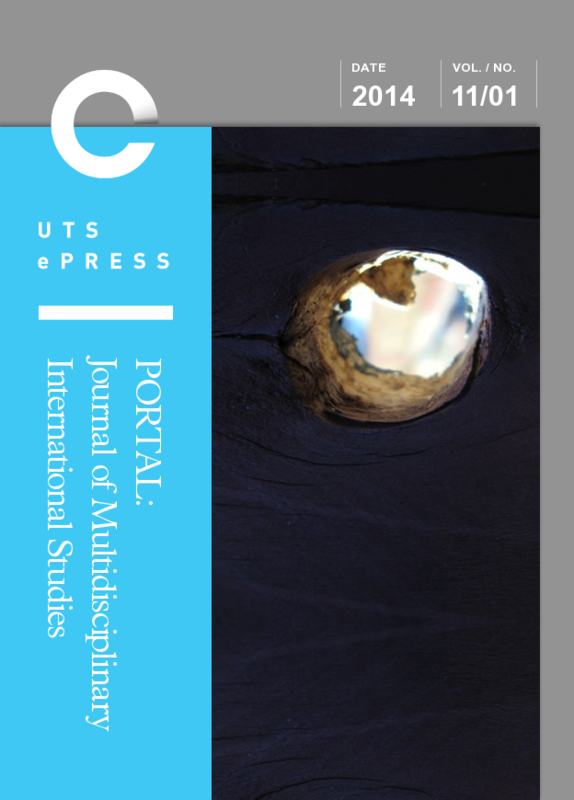 Special issue, guest edited by Matthew Graves and Elizabeth Rechniewski. 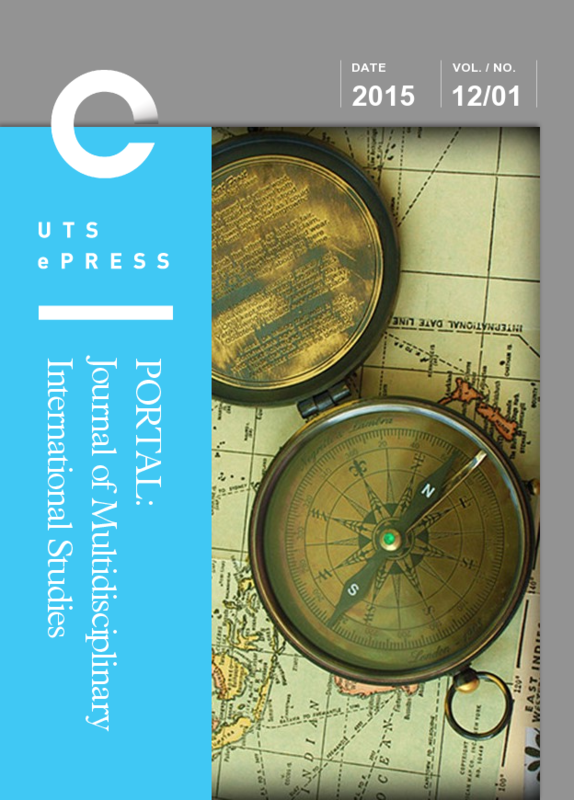 Cover image: ‘Compass Study,’ by Calsidyrose from Spring, TX, USA, via Wikimedia Commons. 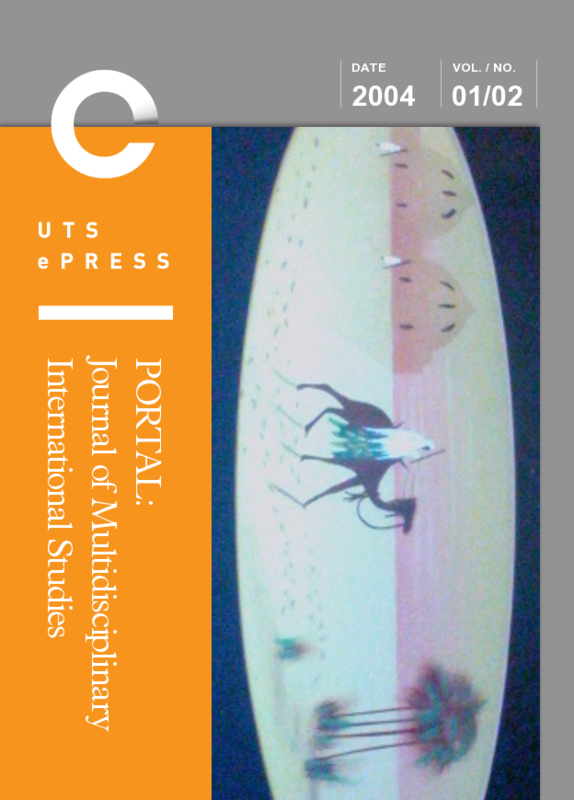 Special issue, guest edited by Annie Pohlman, Sol Rojas-Lizana and Maryam Jamarani. Cover image © Sol Rojas-Lizana. 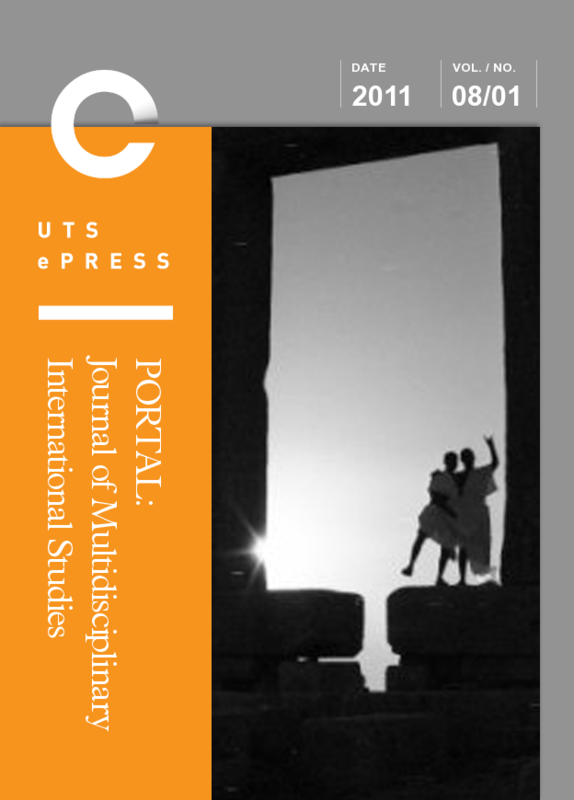 Special issue, guest edited by Angela Giovanangeli and Julie Robert. Cover image © Angela Giovanangeli. 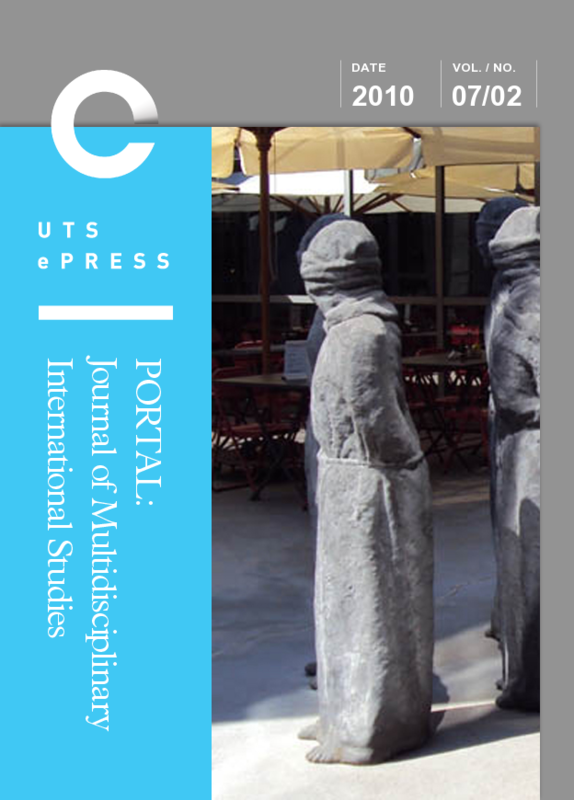 Special issue, guest edited by Juilana de Mooy. 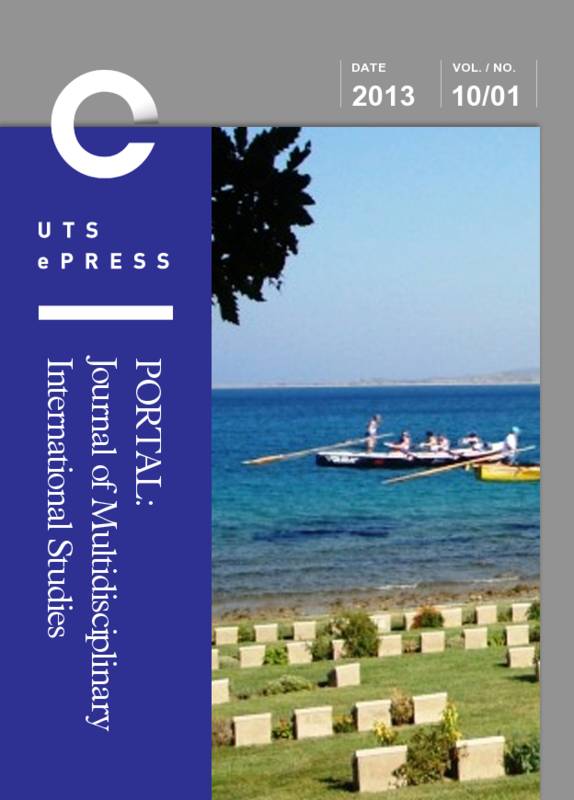 Cover image, Australian, New Zealand and Turkish Surf Boat Crews, Gallipoli100 Tour, August 2010. 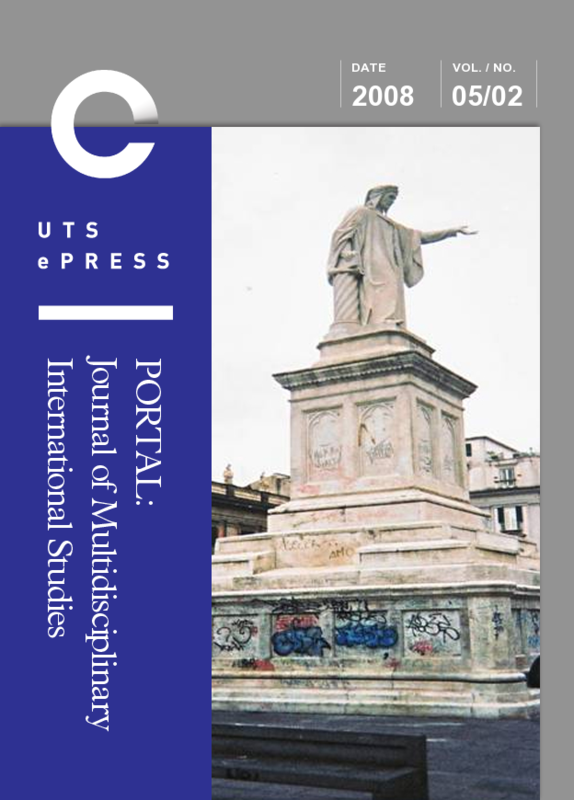 Special issue, guest edited by Maurizio Marinelli. 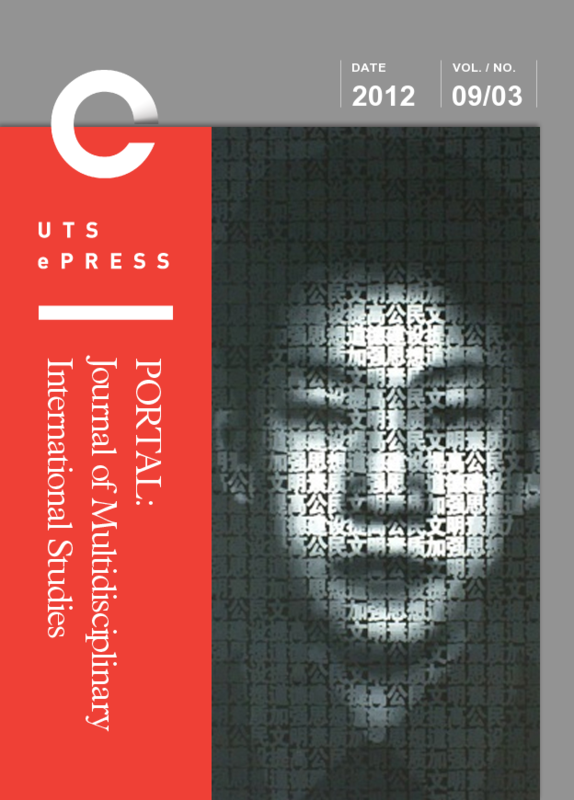 Cover image, from the Slogan Series by Zhang Dali. 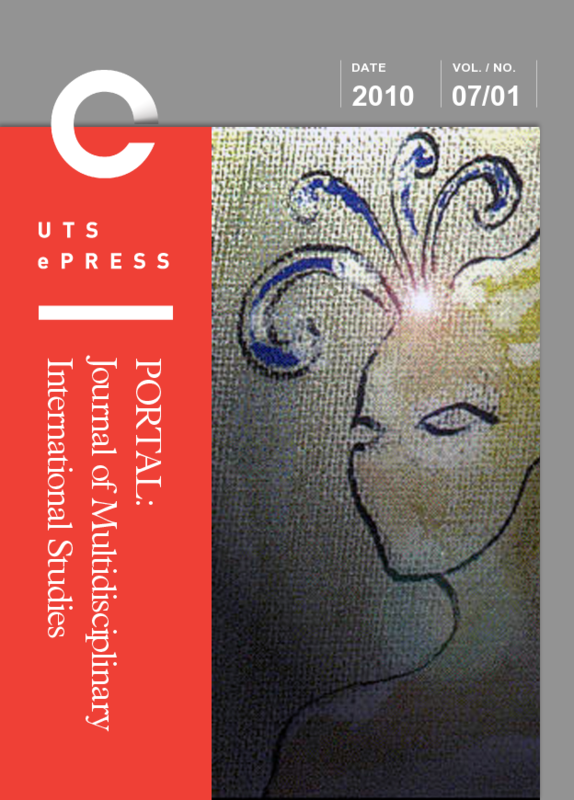 Special issue, guest edited by Bronwyn Winter. Cover image, Detail of James Vetch’s ‘Projection of the Globe on the Cylinder of a Meridian,’ c.1831, Bibliothèque Nationale de France. 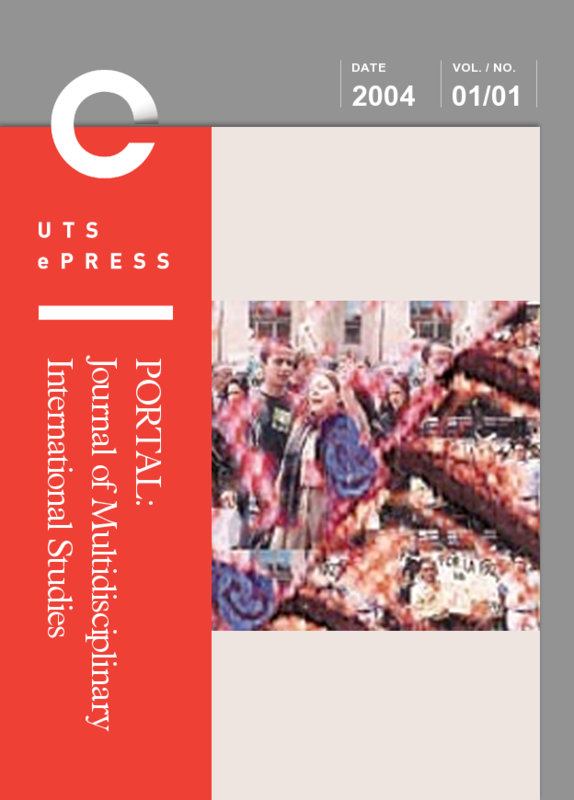 Special issue, guest edited by Lola Sharon Davidson, Devleena Ghosh and Stephen Muecke. 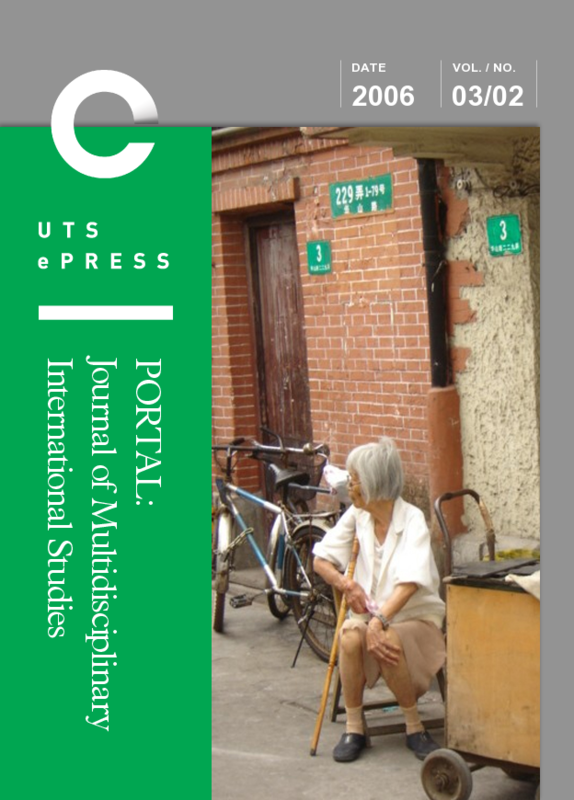 Cover image © Stephen Muecke. 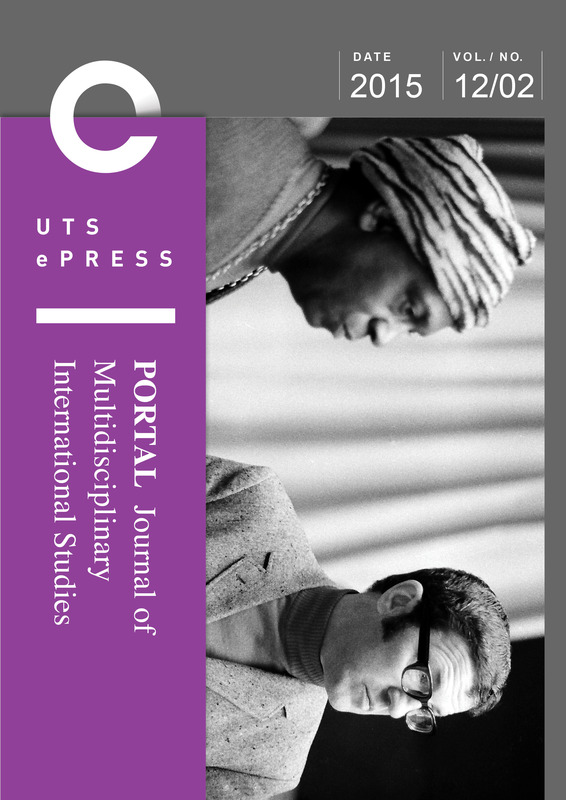 Special issue, guest edited by Chris Riedy and Ian McGregor. Cover image, The late Stephen Schneider © Linda A. Cicero / Stanford News Service. 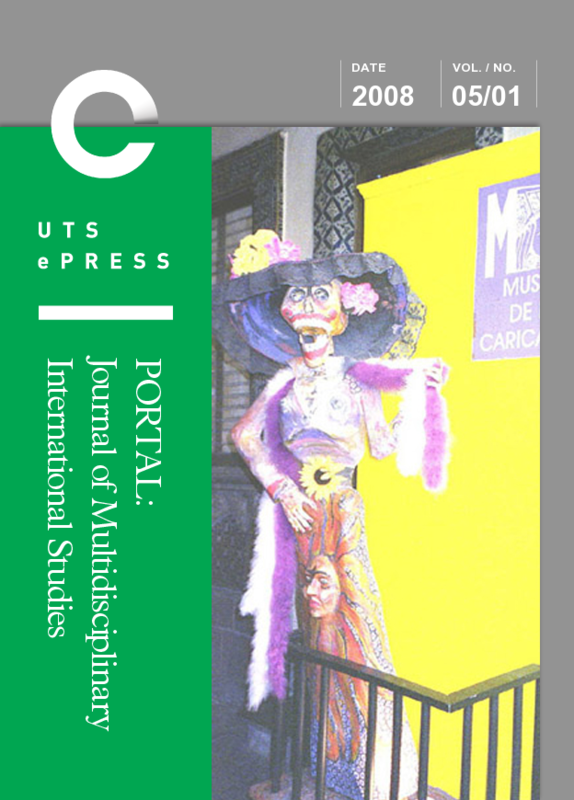 Special issue, guest edited by Beatriz Carrillo Garcia and Devleena Ghosh. 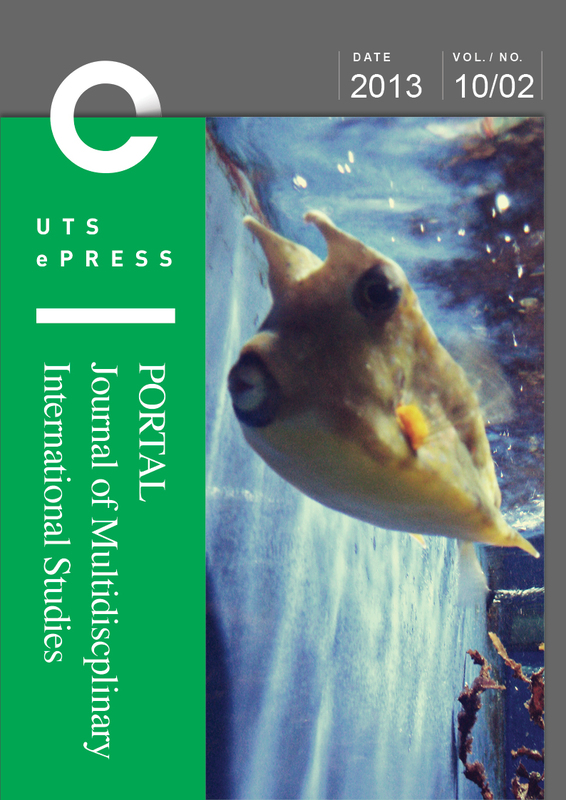 Cover image © Meredith Jones. 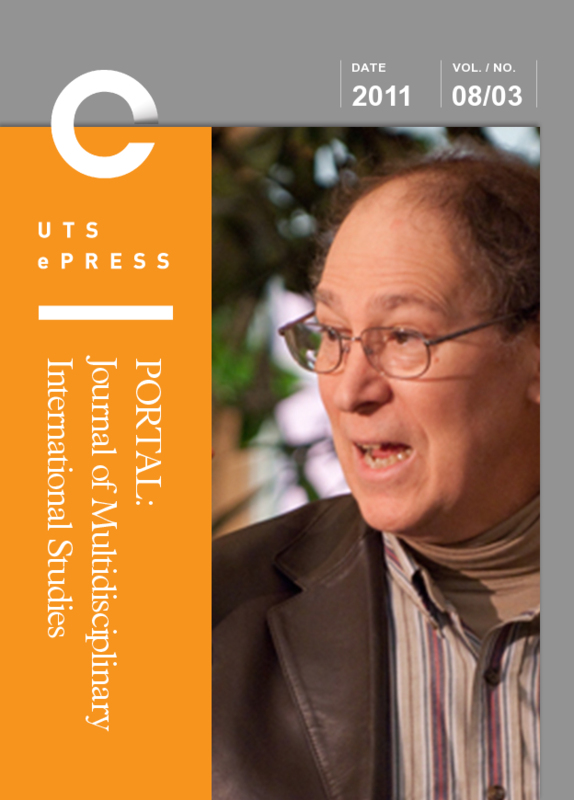 Special issue, guest edited by Tony Mitchell. Cover image Naxos, Greece © Yu Hung Lee. Cover image © Rowena Ward. Cover image, Portrait of Mnemosyne © Carlos Parada. 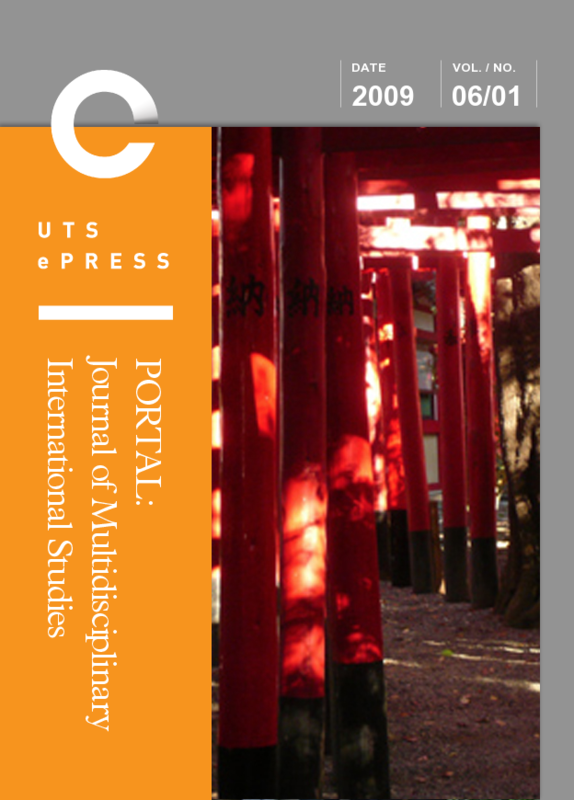 Special issue, guest edited by Vera Mackie, Ikuko Nakane, and Emi Otsuji. Cover image © Vera Mackie. 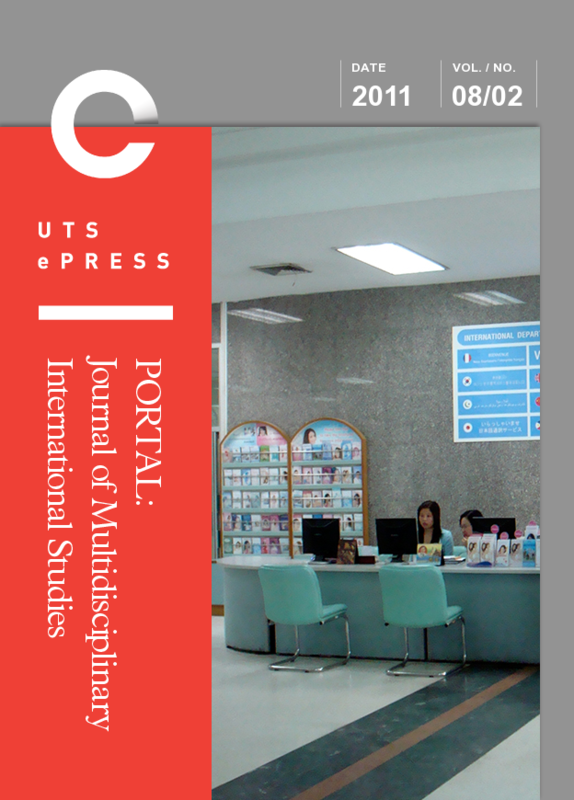 Special issue, guest edited by Ilaria Vanni. 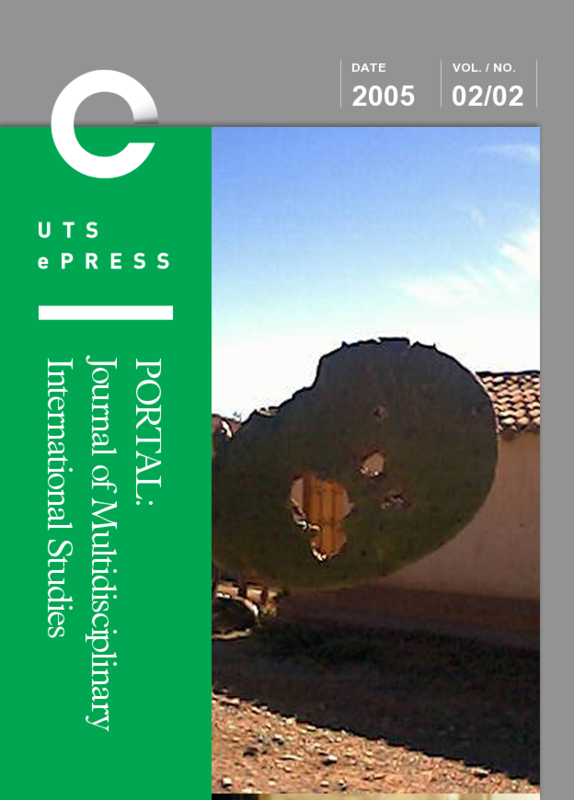 Cover image © Joseph Pugliese. 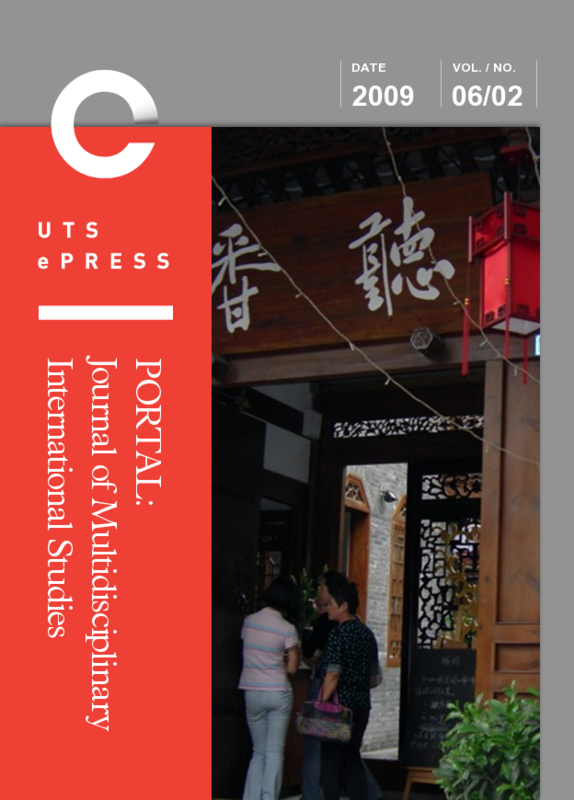 Special Chinese language issue, guest edited by Yingjie Guo. 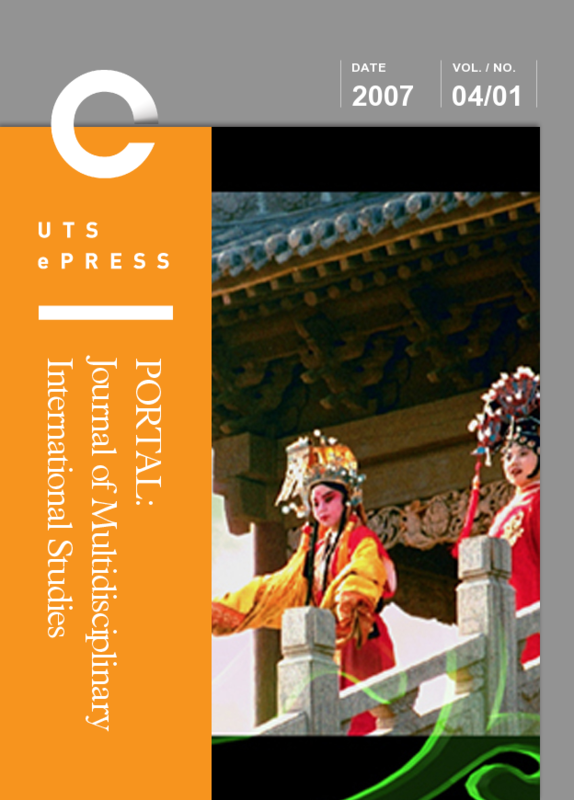 Cover image © David S. G. Goodmand and Li Wei. 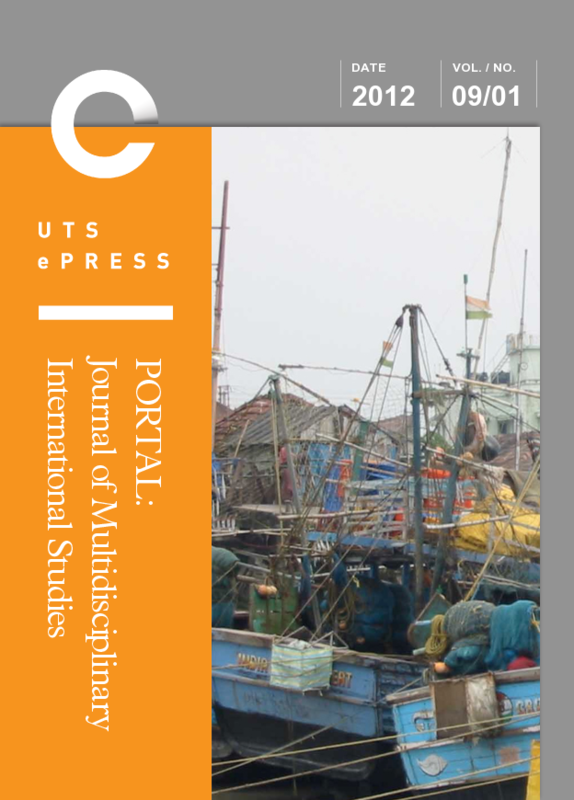 Special issue, guest edited by Devleena Ghosh and Barbara Leigh. Cover image © Barbara Leigh. 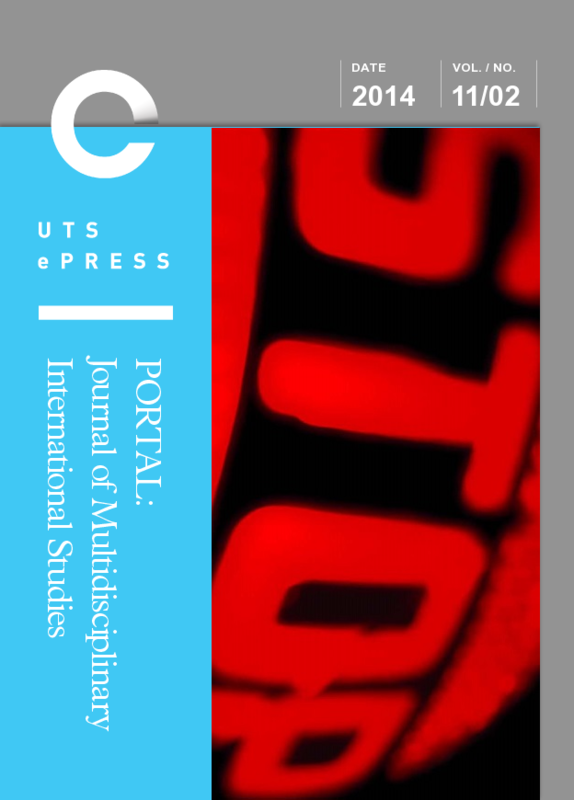 Special issue, guest edited by James Goodman and Christina Ho. Cover image © Paul Allatson. 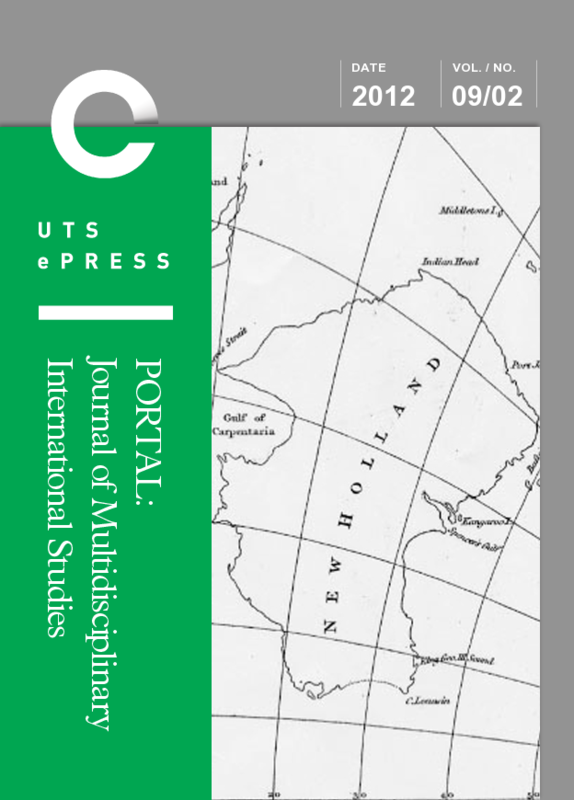 Special issue, guest edited by Alistair Fox, Murray Pratt and Hilary Radner. Cover image © Murray Pratt. 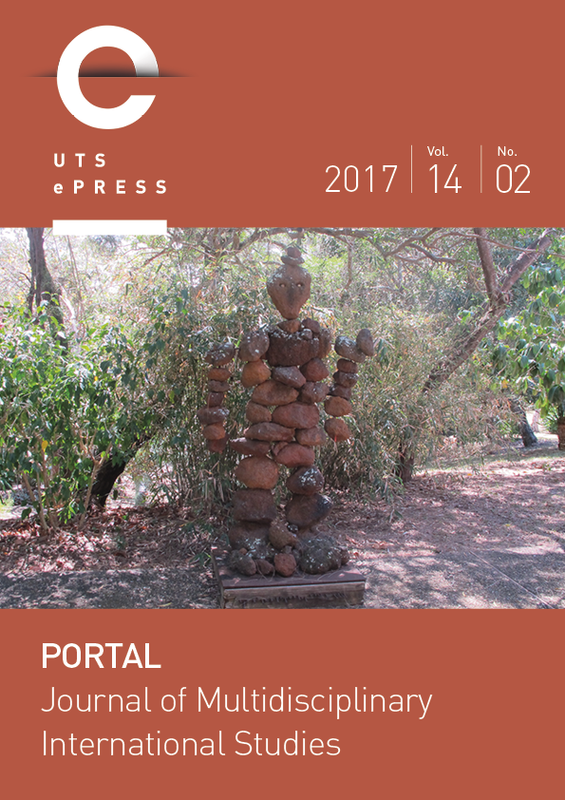 Cover image, Typicals / Típicos © Siliva Vélez.